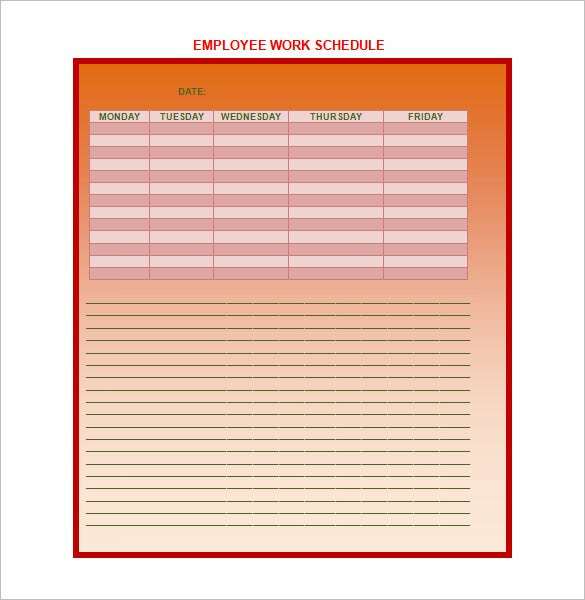 Stay organized and stay updated with these easily editable and printable weekly work schedule templates. You and your child can fill out the spaces with activities, time and venues before taking a print. 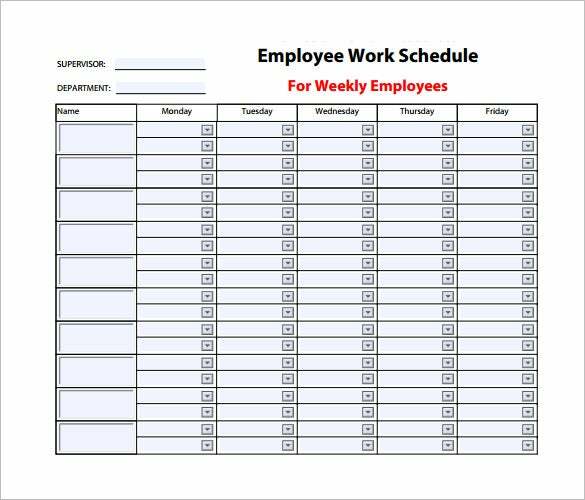 Using these best weekly work schedule templates makes it easier to evenly space out work and not face a time crunch before the weekend starts. 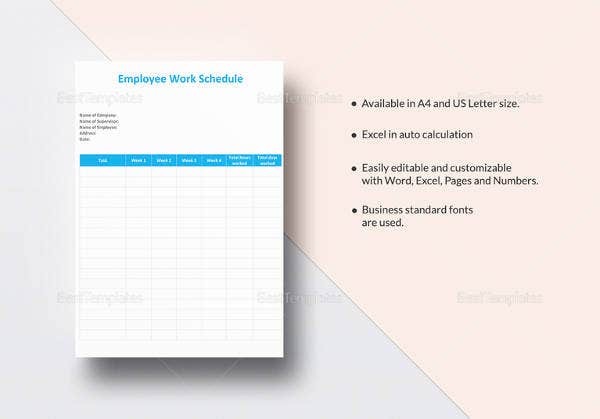 calendartemplates2014.org | Download Employee Weekly Work Schedule Template to realize what effective work planning is. This template has a chart at the top and a lot of empty lines at the bottom for notes. It dazzles in a gradient of coral shade and looks pretty unique. So, this document is an admixture of aesthetics and efficacy. 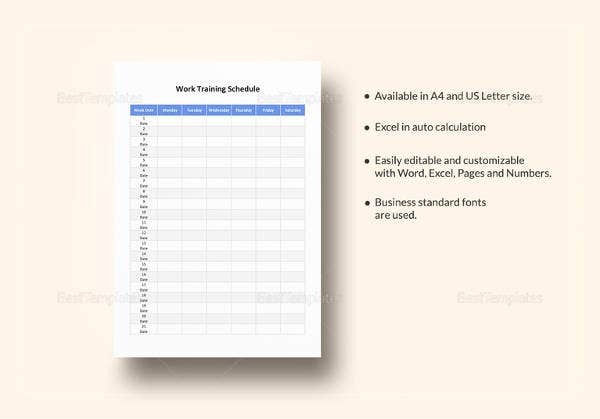 The diversity of formats ensures that you can use MS Word, Adobe PDF readers or Adobe Photoshop to edit the schedule templates. The editing task is a piece of cake even for the kids. They can be used for school activities, homework routines, event scheduling, extracurricular activities scheduling, meetings, doctor’s appointments and everything else conceivable. 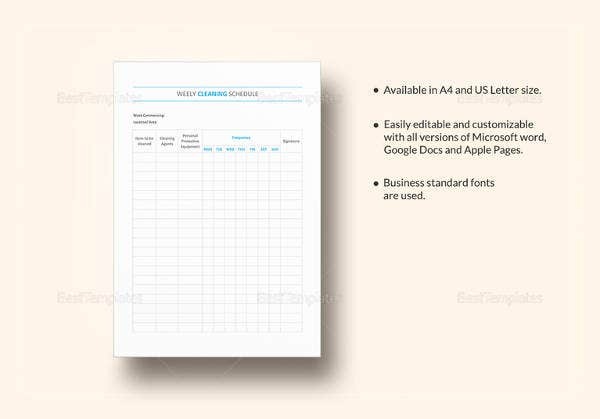 The multipurpose nature of the premium and Free schedule report templates makes them well suited for adults as well. 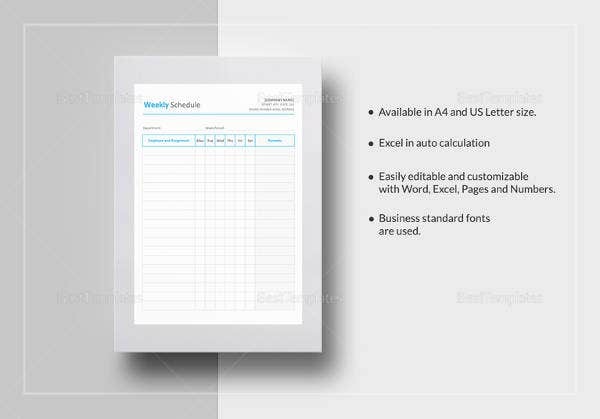 Easily edit the ready to print templates and never miss an appointment or assignment submission deadline. 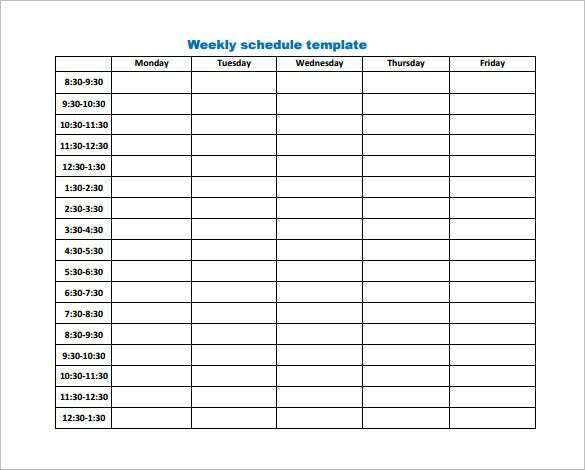 Help your kids organize their homework, projects and activities better by putting time and days down on the templates. 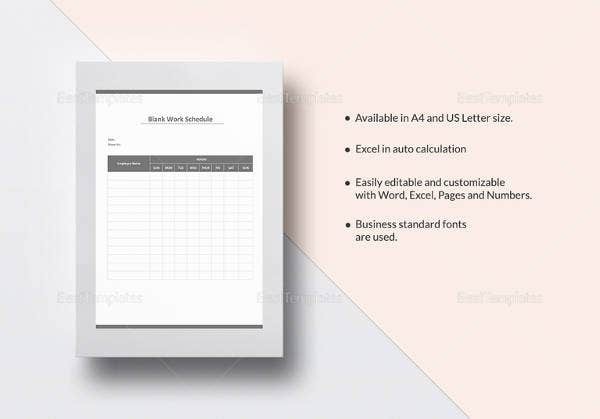 Take prints on A4 paper directly after editing is complete. Most importantly, download these amicable templates from multiple sources for free, without much ado. And keep on editing by using easy tools and actions till the task is complete. You must have often found yourself juggling between works. Yes, it’s good to be versatile but it’s better to question yourself once, “Is all the multitasking you are up to, indispensible?” If the answer is a straightforward ‘no,’ then probably it’s high time you started planning your work in advance. The most convenient way to do so is by having in place a weekly schedule. 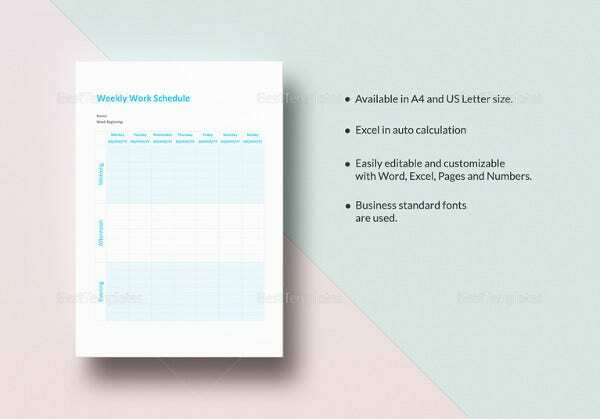 If you are not good in scheduling your work, then opting for a weekly work schedule template would be the best thing to do. Most importantly, it will save on a lot of your precious time. 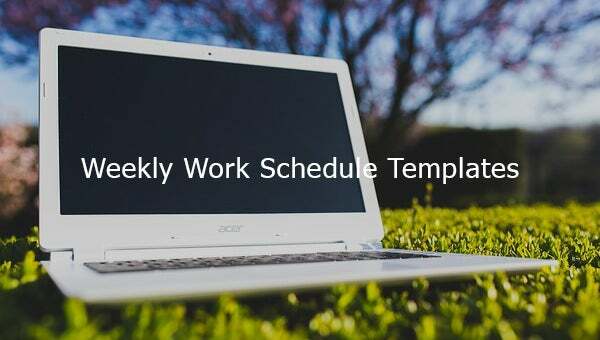 Download these amazing Weekly-Work-Schedule-Templates from the internet, and see what wonders they work on your weekly schedules. Using these templates, you will not only save on a lot of time but also incorporate discipline into your life. They are available in a wide variety of options, so, you can choose one according to your needs.